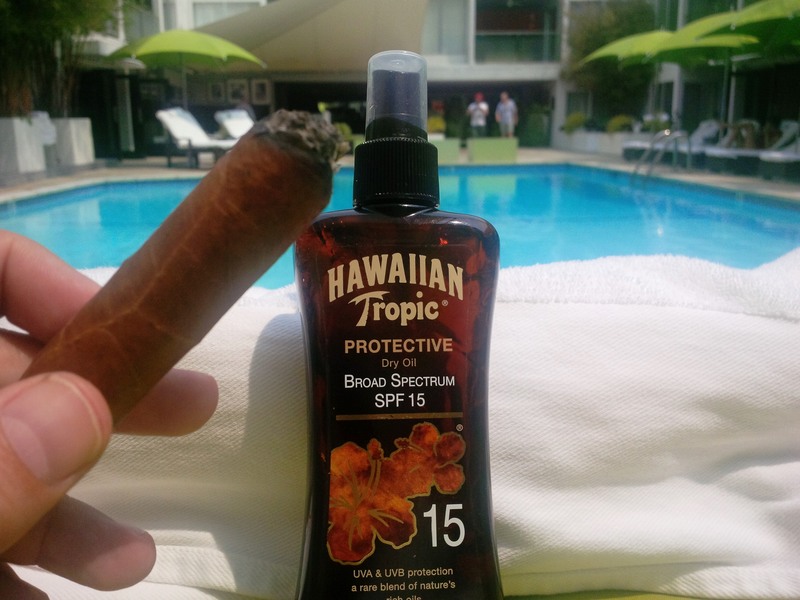 Greetings from sunny Los Angeles where I am on a 5 week strictly no Havana cigar diet but enjoying some of the finest New World cigars available. I’m holding court round the pool daily as usual and seeing a lot of old pals and making a lot of new pals too… So far so good 🙂 Everyone likes the cigar merchant! The weather is amazing, though I hear it’s not been too shabby back in the UK and judging by the sales my cigar shops are reporting to me… There’s a lot of summer and BBQ herfing going on! 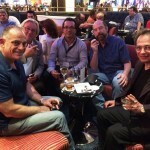 So I’m busy enjoying my annual pilgrimage to the USA for summer and spent the best part of last week in Las Vegas for the annual IPCPR trade show (formerly known as RTDA). The show was at The Sands convention centre and as huge as ever. Exhibitors had all manner of cigars and smokers accessories that you could possibly think of and I was like the kid in the candy store. Following the success of the 2013 Orchant Seleccion – Regius Limited Editions I’m delighted to confirm that we expect to release the 2014 LE’s next week and they are at least as good as I hoped and expected. We’re planning an Orchant Seleccion collaboration with one of our favourite cigar companies in the very near future but if I tell you now I would have to shoot you! I enjoyed smoking a Padron 45th at the Padron booth whilst gazing lovingly at the 50th anniversary, limited edition Padron humidor 🙂 It is breathtaking. We hope to have a few available later this year. We do stock a good range of Padron cigars, they really are super premium and don’t forget no one can touch C.Gars on pricing in the UK as ours will always be the best. Other preferred suppliers that I enjoyed catching up with at the show included Torano who make our cracking C.Gars Nicaraguan cigars (range increasing with new sizes this year) and Oliva cigars which seem to be getting more popular month on month. I shouldn’t be surprised, they are superb quality and great value too. Had to have a regular pit stop for a scotch or two with Bobby at Fujipub (old habits die hard!) 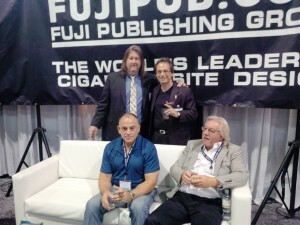 and always nice to catch up with the boys from Smoke magazine and European Cigar journal. One of the coolest stands had to be the Alec Bradley stand. 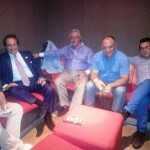 AB held an outrageous party at Palms hotel which was thoroughly enjoyed by me and the boys (George, Barry, Ron and Gennaro). This brand is a huge success for us and we are delighted to guarantee biggest range and lowest prices in the UK of course. Another super premium brand I visited was Fuente and I think this may well be the busiest of them all! We love Fuente cigars and have a fabulous range on our website. 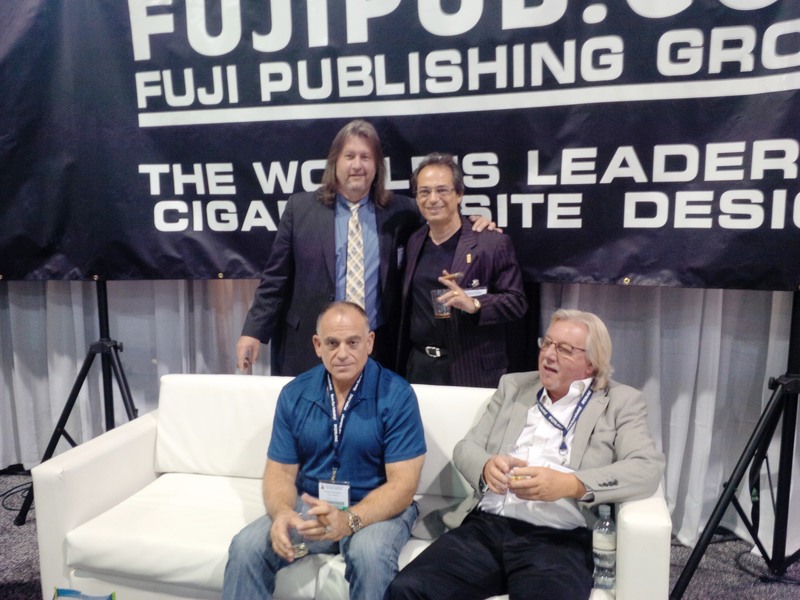 The only thing I never saw at the show was… Any other UK cigar merchant! Too funny for words. 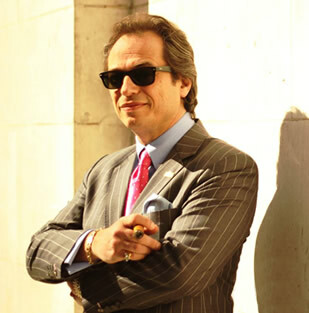 It seems that I am the only Cigar specialist in the UK constantly checking new cigar blends and new humidors and accessories and buying in bulk to give my clients the best prices possible. What happened to the competition? Maybe they have finally given up?! Many will remember a few years back how I cornered the market in Partagas 165th anniversary humidors and advised my clients to purchase as they were not only a good cigar but also likely an excellent investment. Many of my clients followed my advice and realised or saw a substantial increase in the value of their investment. Quite a few others enjoyed smoking these cigars at release low price and others completely missed the opportunity! I similarly cornered the market with various other cigars over the years including UK regional editions such as the La Flor de Cano short robusto, Por Larranaga Magnificos and Punch Serie D’Oro No. 1 (to name a few) and have seen the same results for my clients. 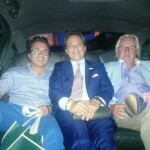 I think this is the most fun part of having created C.Gars Ltd into such a huge cigar business. When I rate a cigar the company has the means to buy all the stock it wants and then I decide what and when to release it, usually ensuring the best possible deal for my clients. 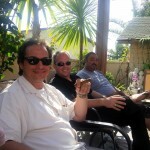 Not sure there are many cigar specialists in the world with that sort of muscle <said in my best Noo Joisey accent>! This week my newsletter clients have the opportunity to purchase the following 3 cigars at a substantial discount to current market values. I don’t advise on investments as I am just a cigar specialist and rate cigars on how good the blend is as well as how they are constructed and finally how good the appearance is. In particular I am very fond of Partagas Gran Reserva which would not surprise me if values double within the next 2 years. 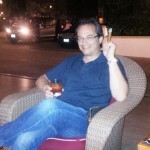 (Goodness knows prices on Cohiba Gran Reserva have gone bananas in recent years!) There is little stock left anywhere in the world and it is a numbered edition of 5000 boxes made. Historic data (see my auction websites) has proven that all Coleccion Habanos book editions have always increased in value. The most desirable being the Cohiba Sublimes extra but the fastest appreciating looks like the Obras Completas. The first edition Cuaba has increased dramatically in value over the years and the Cuaba 2012 may do as well. No need to ask – All stock pristine and brand new, my standard guarantee applies on safe intact delivery and I am always happy to assist in resale in the future if required… Talk about the only cigars specialist that gives the full service whether buying or selling! 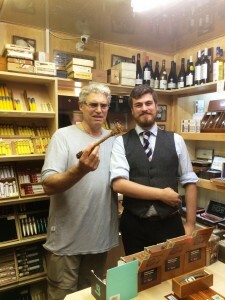 Lastly, it was great to welcome actor Michael Nouri to Robert Graham Rose street Edinburgh! 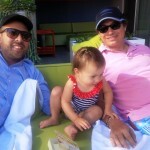 We usually meet for a smoke in Los Angeles! Well that’s all the news for now as I had better get my herfdor ready and my lighter filled before I head out to see a bunch of friends for yet another herf this evening!